Barbara Kessler joined Amazon Web Services (AWS) in early 2016 to lead the AWS Managed Service Provider (MSP) Partner segment. In this role, she has been responsible for the incubation and development of "Next Generation" AWS MSP Partners globally, as well as the continued growth and advancement of the related partner programs. 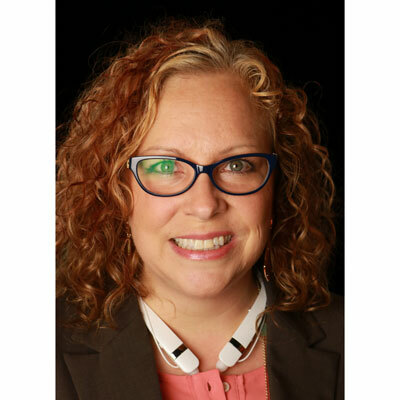 Barbara brings an extensive background working with partners and programs in the communications and information technology industries for more than 15 years. Barbara holds a Master of Business Administration from The University of Dallas and is a member of Beta Gamma Sigma Honor Society. I relaunched the AWS MSP Partner Program, introducing new concepts in technical requirements and clarifying, simplifying, and improving the MSP Partner experience, with an ongoing focus on delivering high quality customer outcomes. I also implemented new internal operations to streamline program management with faster turnaround times and more effective feedback mechanisms for MSP Partners. This resulted in growth of the AWS MSP Partner community by more than 30% year over year. I have also worked closely with the analyst community to produce new research that clearly identifies the opportunity and profitability potential for "Next Gen" AWS MSPs. This research and its applications have gained the attention of the broader APN Partner community and has resulted in numerous additional Consulting Partners moving toward this new business model. I will continue to focus on the growth and maturity of the MSP ecosystem, taking this messaging to the broader APN Consulting Partner community to enable increased adoption of this "Next Gen MSP" model and to deliver outstanding experiences to customers. I will also revisit the MSP Program to ensure that highly specialized partners are clearly recognized. In my newly expanded role, I will also revisit the APN Program structure to ensure that emerging partners types are recognized, program requirements are clear and flexible enough to meet the needs of this evolving market, and benefits are appropriately structured and meaningful. Ruth Bader Ginsburg is a personal hero. She fought through personal tragedy, oppression, sexual discrimination, and grew up in an era where women, particularly intellectual and opinionated women, were not broadly accepted in professional roles. Despite that adversity, she has reached he absolute pinnacle of her profession with a grace and poise that all women, and men, should admire and respect. Despite being opinionated and forthright today, I was very shy and introverted when I was young. I would tell my 16-year-old self to stop doubting myself, stop worrying what others think, stop trying to please other people and dive bravely into whatever challenges I faced. I would love to deepen my technical skill set. While I am able to maintain fairly deep technical conversations, I would love to take this further with less reliance on Solution Architects and Engineers. I highly value the skills and experience that these team members bring to the table, but I would like to increase my own acumen in this area. I should probably answer this with a business book, there are certainly a few (Emotional Intelligence 2.0, The Everything Store, The Ultimate Question 2.0). However, if I am being honest, my actual favorite read this year was Ernest Cline's Ready Player One. It was a fun science fiction read, themed with the pop culture of my 1980s childhood. Sometimes I think it's important to step away from work and business and read something just because it's enjoyable.